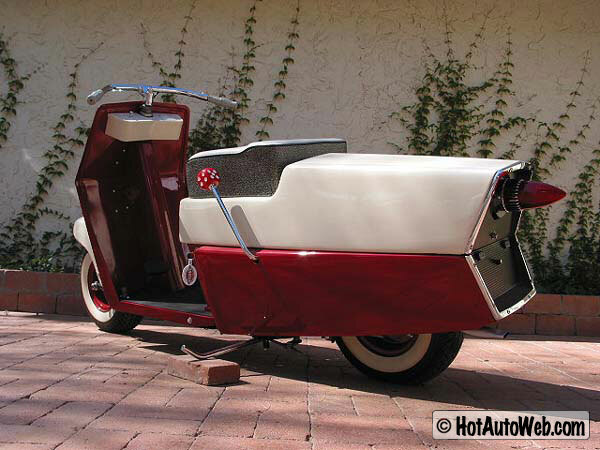 If the Russian Tula I posted the other day doesn’t appeal, howsabout something from the other side of the cold war. 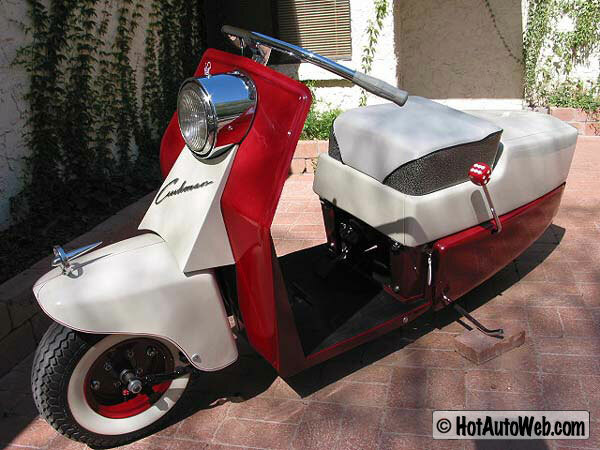 Filed under “it’s not a Lambretta, but it’s pretty darn cool” department… I bring you this lovely custom Cushman. 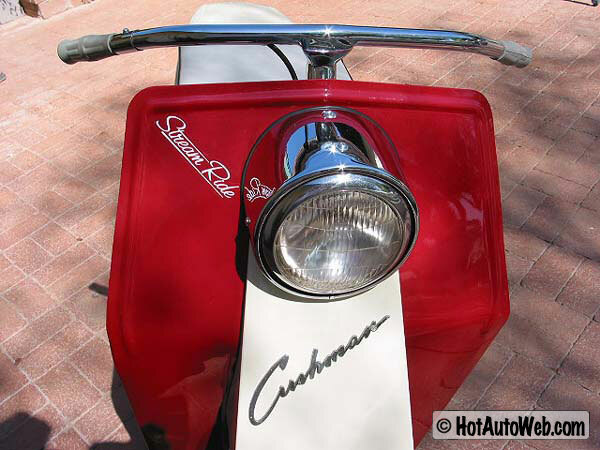 Cushman scooters hail from the good old US of A, and while many european scooters tried to ape the lovely curves of the Lambretta and Vespa, with varying degrees of success, Cushman plowed their own furrow. Instead of a set french curves, the designer used a good old ruler. 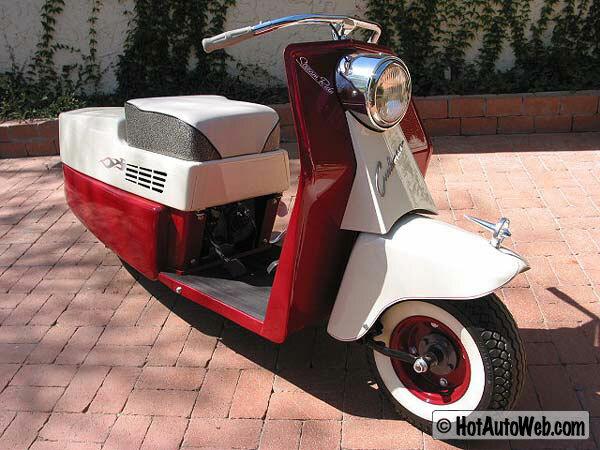 This example dates back to 1960, and is a customised Model 520. 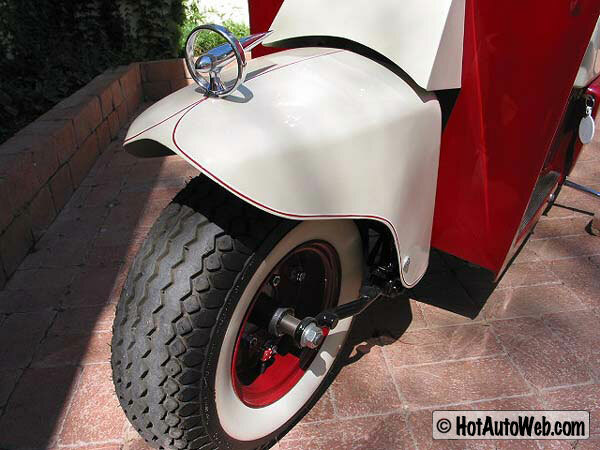 The customisation is pretty tastefully done, some nice pinstriping, a ’59 Cadillac tailight, and the dice detailing on that mysterious lever on the left side of the scooter. 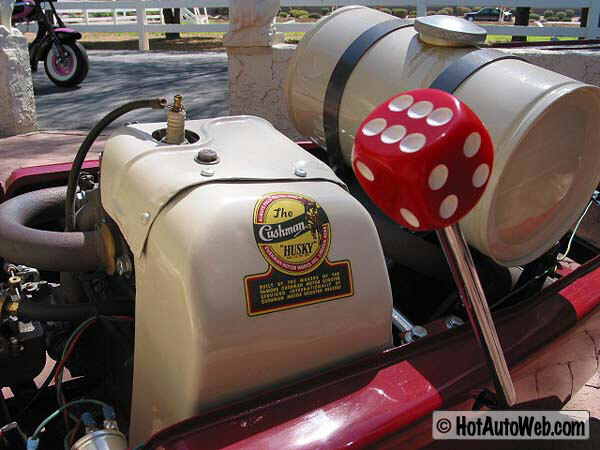 (I think it opens the engine compartment). 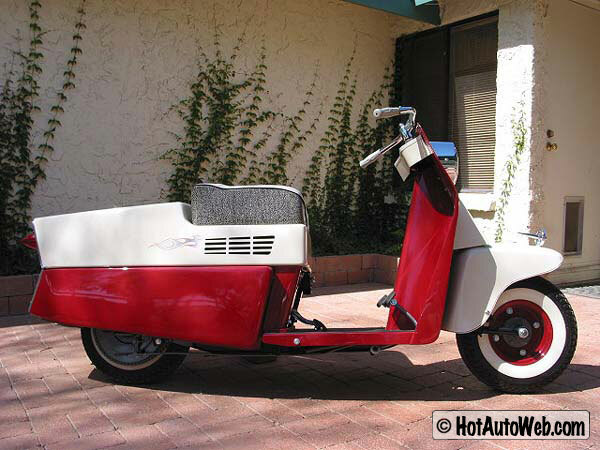 It’s the epitome of the 1950’s Vegas Loungebar aesthetic, scooter style! 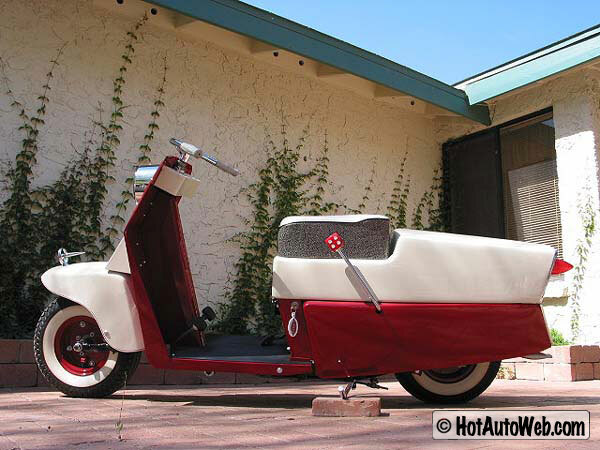 This entry was posted in Not a Lambretta, Scooters and tagged America, cushman, for sale, oddball, USA, Vegas by crocodilejock. Bookmark the permalink.